Open Access is free, immediate, unrestricted, online access to peer-reviewed research and scholarly work. Everyone. Authors can share their work with global audiences without cost barriers, libraries can provide their patrons with a wide range of content more affordably, and readers can access the information they need. 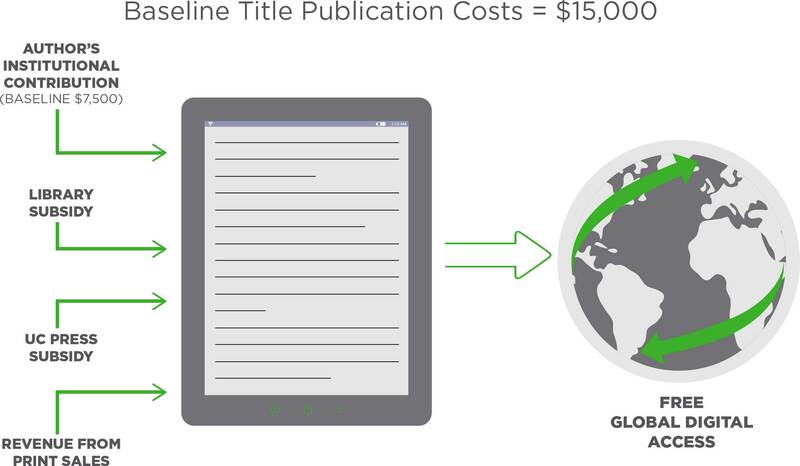 Publishing costs are covered up front through a combination of subsidies and author/institution fees, and authors’ rights are protected by a Creative Commons license. Because the traditional model for publishing monographs is limiting and too expensive. A new, sustainable model built on Open Access can preserve monographs as key vehicles for original scholarship by making them more widely available to all, without cost barriers. That’s why we created Luminos. Building on the principles of Open Access, Luminos offers a fair and community-centric model for monograph publishing that serves authors, the academy, libraries, publishers, and readers everywhere. Because we are committed to our mission to give high-quality scholarship impact in the world, which aligns us with the spirit of Open Access. And as not-for-profit publishers who don’t need to build profit for shareholders, we are free to create an entirely new model for monograph publishing. For more than 120 years, we have sought out, cultivated, and distributed exceptional scholarship. That means we have a strong interest in keeping the titles we publish accessible, discoverable, and relevant in the digital universe. The Scholarly Publishing and Academic Resources Coalition (SPARC). Open Access Publishing in European Networks (OAPEN). The OAPEN Foundation is a non-profit foundation dedicated to Open Access publishing of academic books in Europe. Omega Alpha Open Access: Peter Suber’s “Promoting Open Access in the Humanities” – eight years later, by Gary F. Daught. Monographs and Open Access. A new report on the landscape for Open Access monographs from the Higher Education Funding Council for England, based on extensive research. The OA Interviews: Alison Mudditt, Director, University of California Press.